Use teardrop-shaped blocks for direct attachment to padeyes or mast collar posts to keep lines extremely close to the deck. 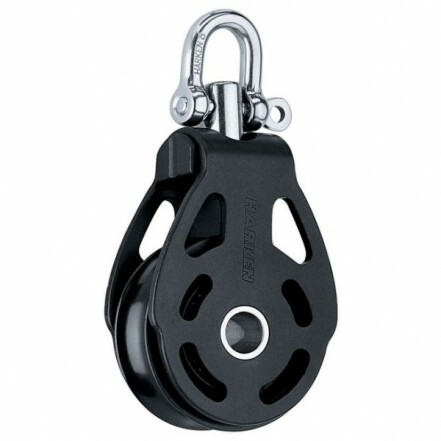 Use the 6050 and 6056 on production boats with mounting posts on the mast collar. The 6057 and 6065 padeye-mounted blocks have hourglass-shaped head spacers to seat on the padeye bale.